Your continuous generosity in financial support of this ministry has been greatly appreciated. Thank you in advance for continued support. Please include your mailing address so we can acknowledge your gift. Without you and other supporters, this radio ministry would not be possible. 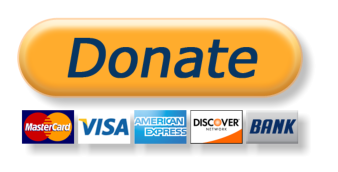 We now offer credit card donations to make it more convenient for our listeners who wish to make a contribution to this ministry. Our credit card payments are processed by PayPal. If you have a PayPal account, feel free to use it. If you do not, please select “Do Not Have an Account” on the bottom left hand side and you will just need to put in your credit card information. Thank you so much for supporting us!